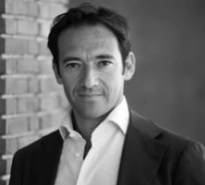 MASSIMILIANO MAGRINI is Co-founder and Managing Partner of UNITED VENTURES. Massimiliano has a twenty-year background in the technology sector. He recognized the revolutionary power of search engines and helped the start up of Altavista in Italy in the year 2000. In the 2002 Massimiliano launched as Country Manager Google in Italy, building from scratch the team that led to success, even in our country, one of the most important company worldwide in the media & technology market. After this important experience, during which he took responsibility over Google Spain and Portugal, he left the company to found Annapurna Ventures, a Seed Fund focused on digital technology. Massimiliano is passionate about technology and about the role it plays in the innovation process of society. He was also member of the “task force” established by The Minister of the Economic development to draft the new legislation to support the startup ecosystem. Massimiliano. graduated in Political Sciences from Università di Bologna.